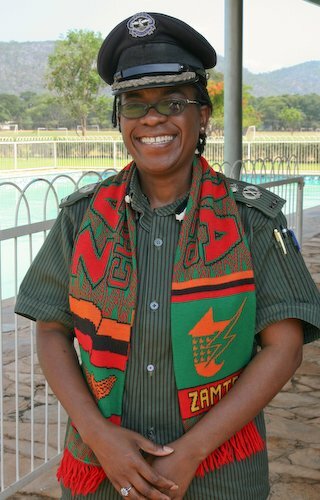 President Michael Sata has fired police commissioner in charge of operations Brenda Mutemba. Antoneil Mutentwa, the commissioner in charge of Human Resource has also been fired. Sources at police headquarters have told the Watchdog that the two senior police officers have been fired for saying yes to the UPND rally which will be held tomorrow. Police sources say the two have been against blocking of political rallies by the PF regime. The UPND will hold a mass rally in Kabwata on Sunday after forcing the PF police to give a go ahead, though grudgingly. Initially the police had said ‘no’ to the rally but when the UPND vowed to go ahead, the police fearing embarrassment decided to let the opposition go ahead. Home Affairs minister Edgar Lungu, Police IG Stella Libongani and Lusaka province commissioner Kasosa held a rare joint press briefing where they said the UPND can proceed but in a childish attitude said there would be no police protection. Minister Lungu who spoke on behalf of his subordinates said that police officers will not be present at the rally because of the UPND’s confrontation approach they have taken over the matter.